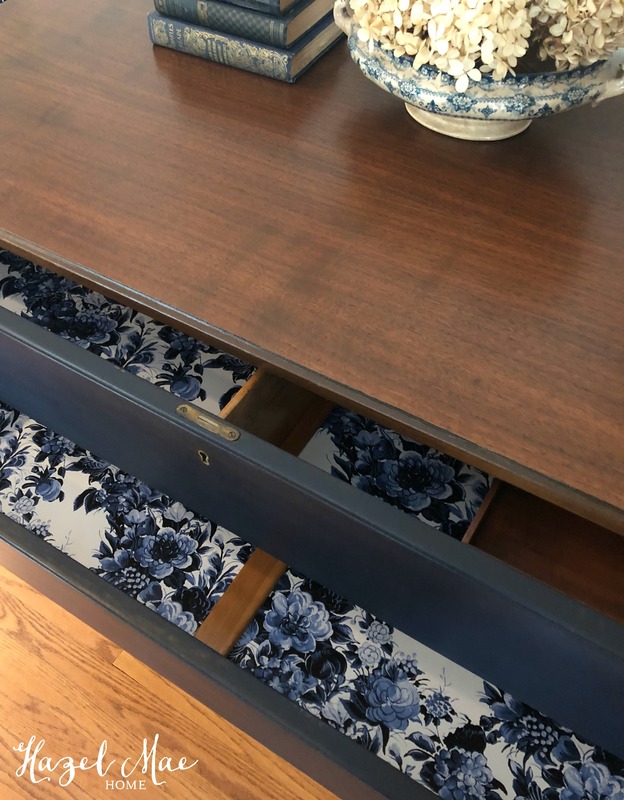 This vintage Duncan Phyfe game table was in poor shape when I found it. 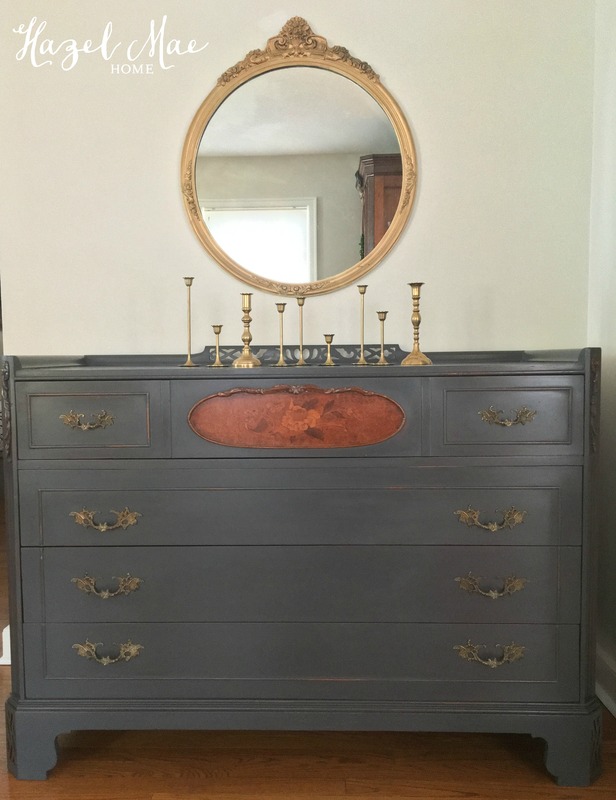 The top had water stains, the legs were wobbly, and it was missing one of its brass toe caps. 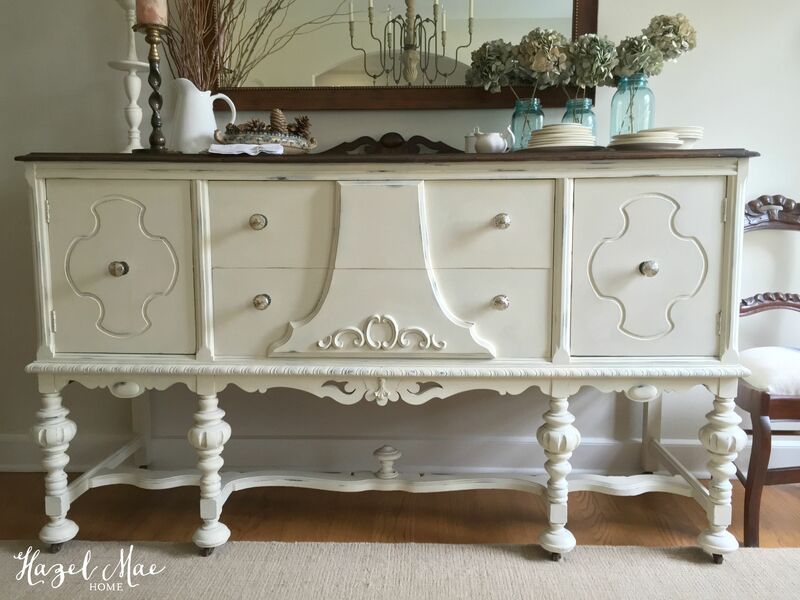 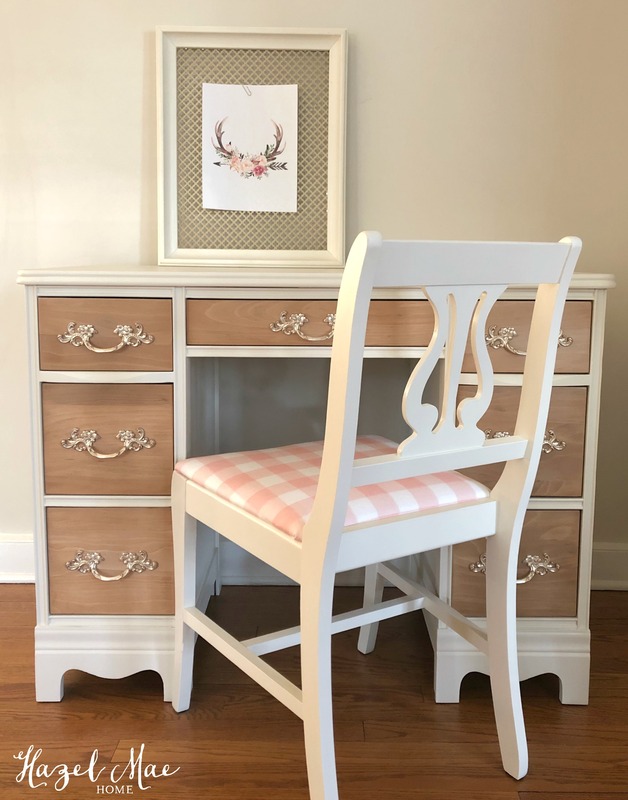 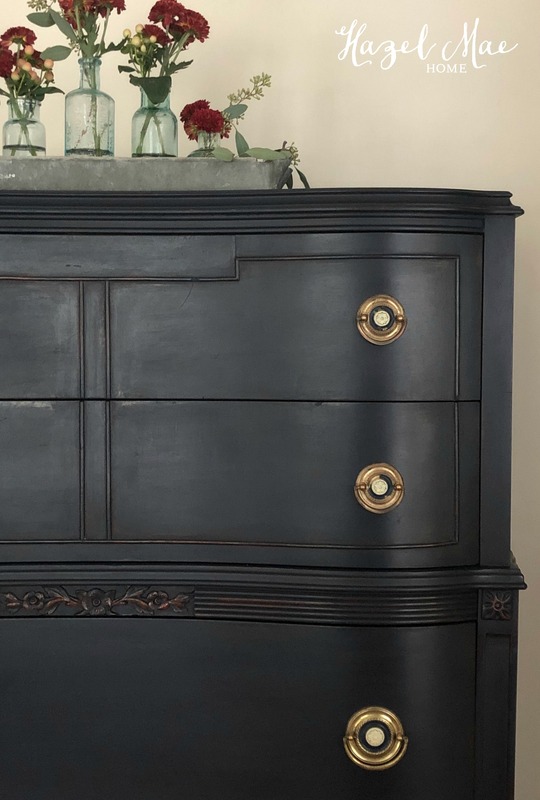 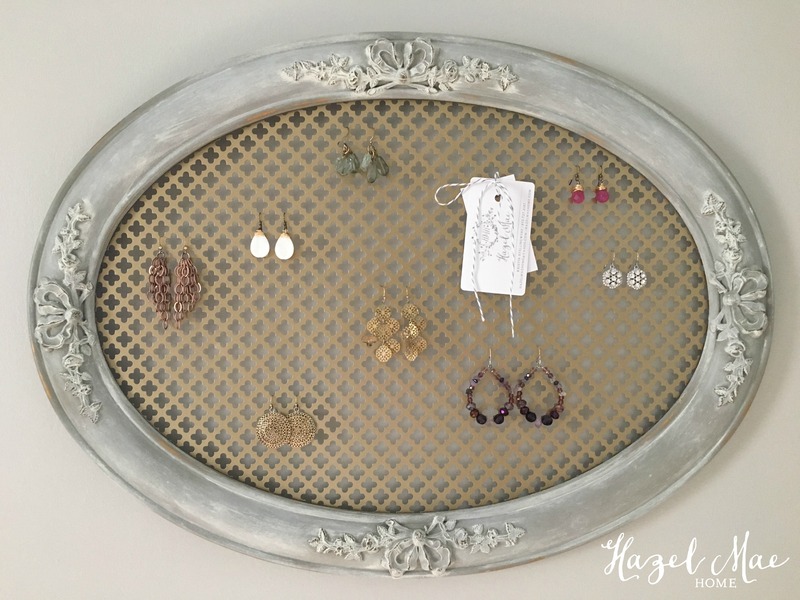 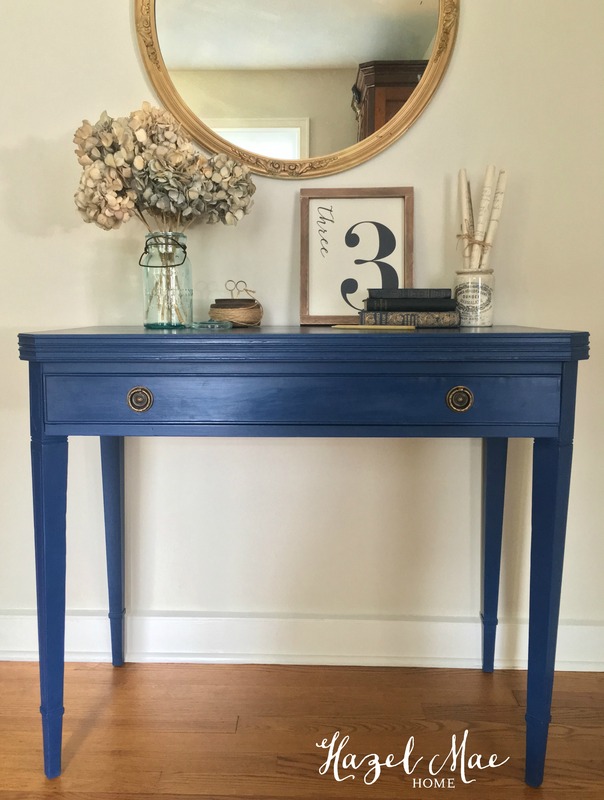 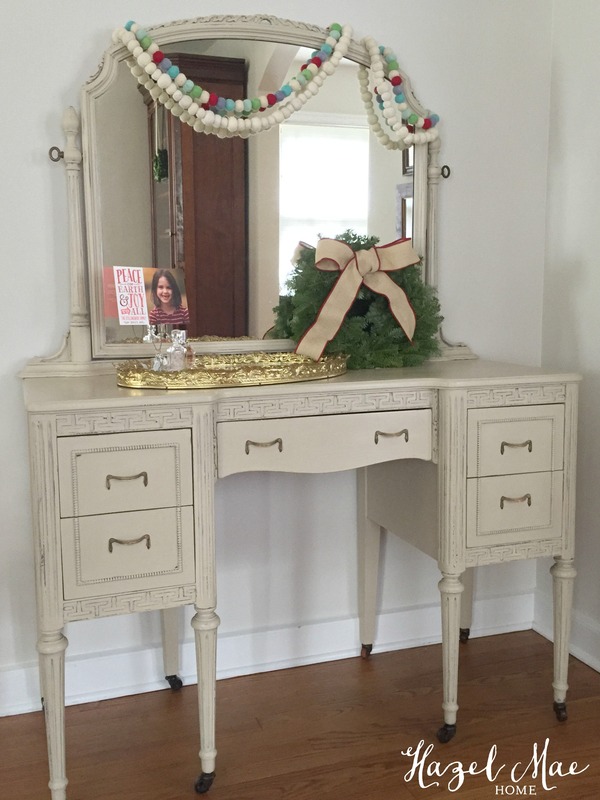 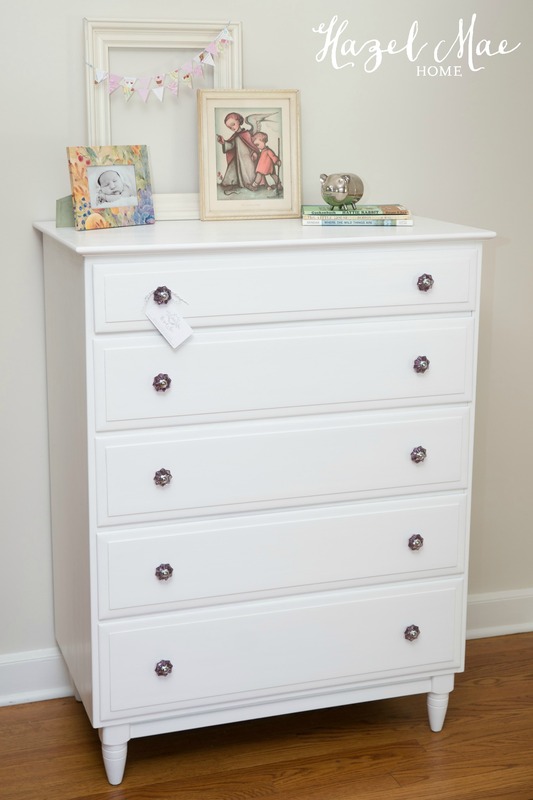 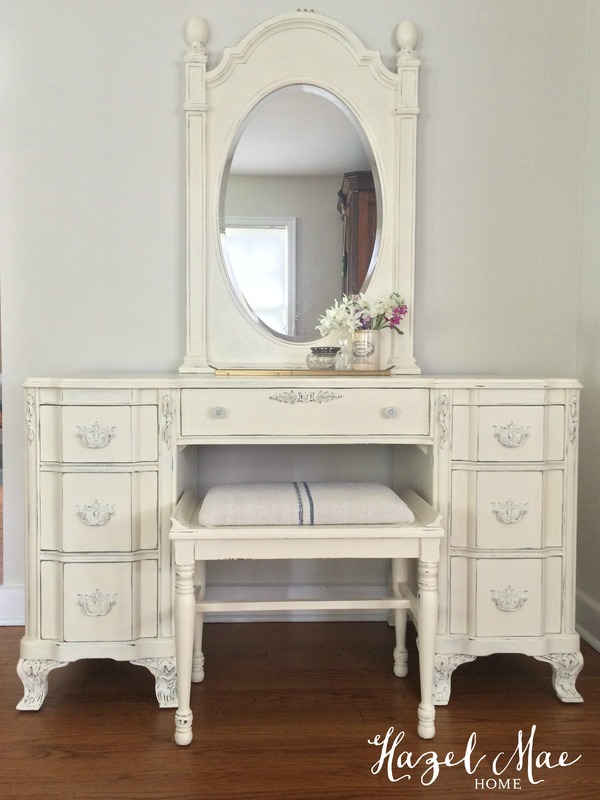 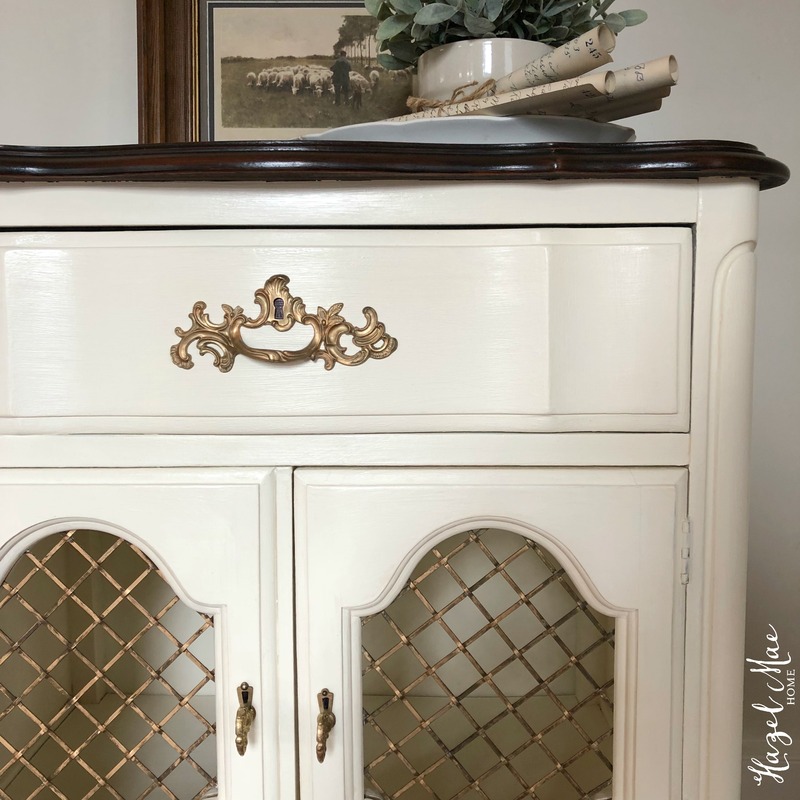 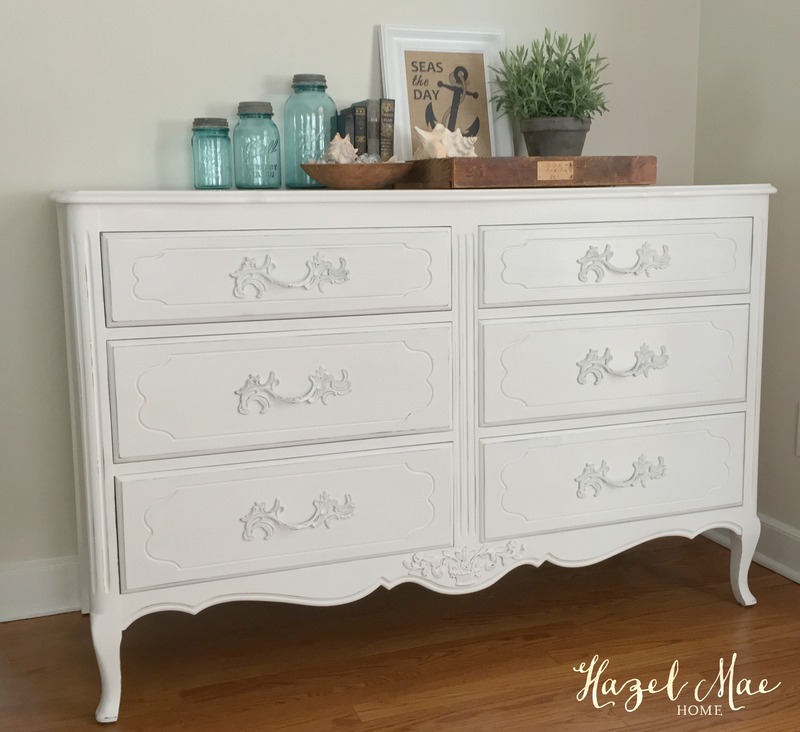 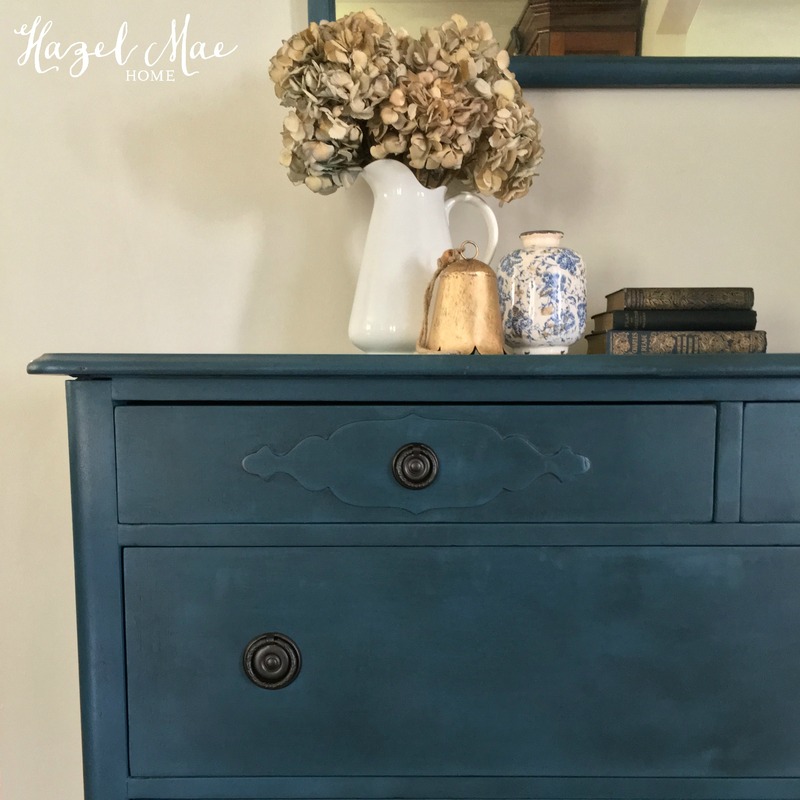 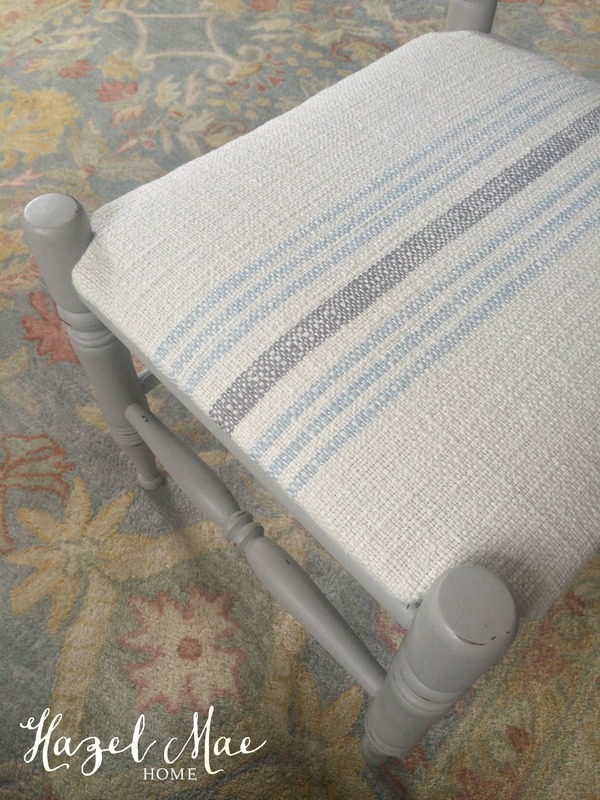 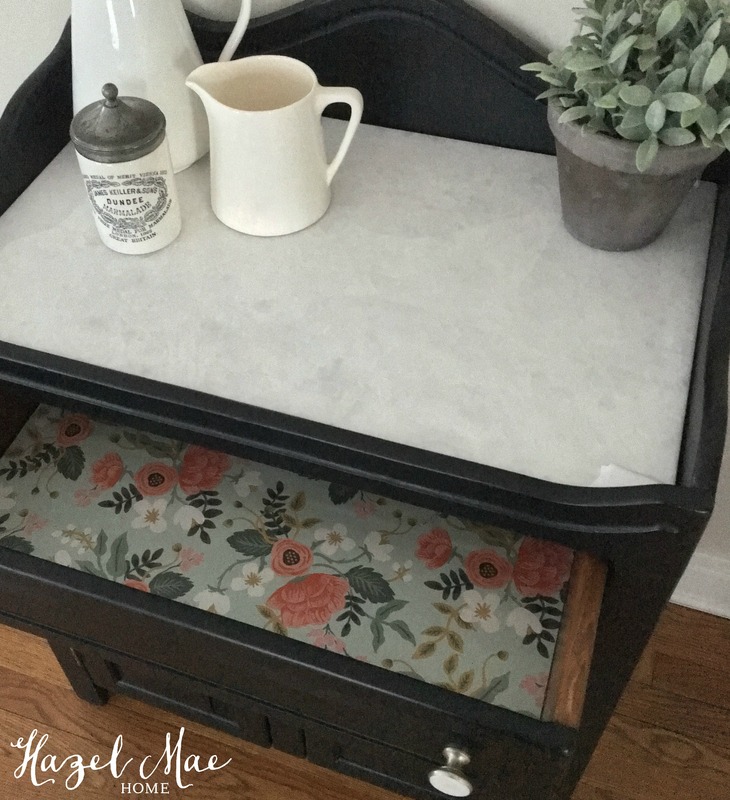 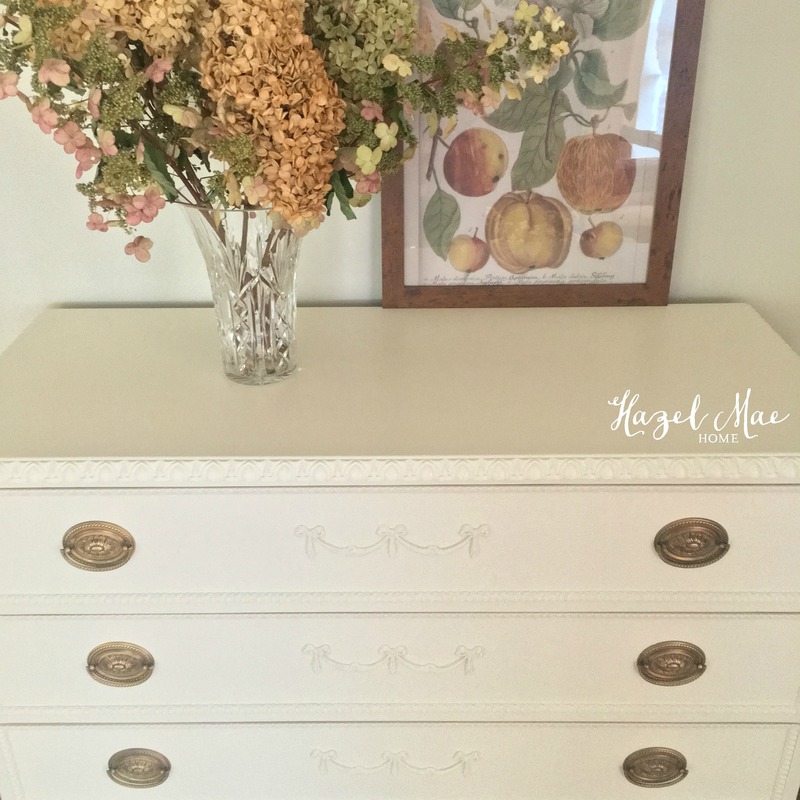 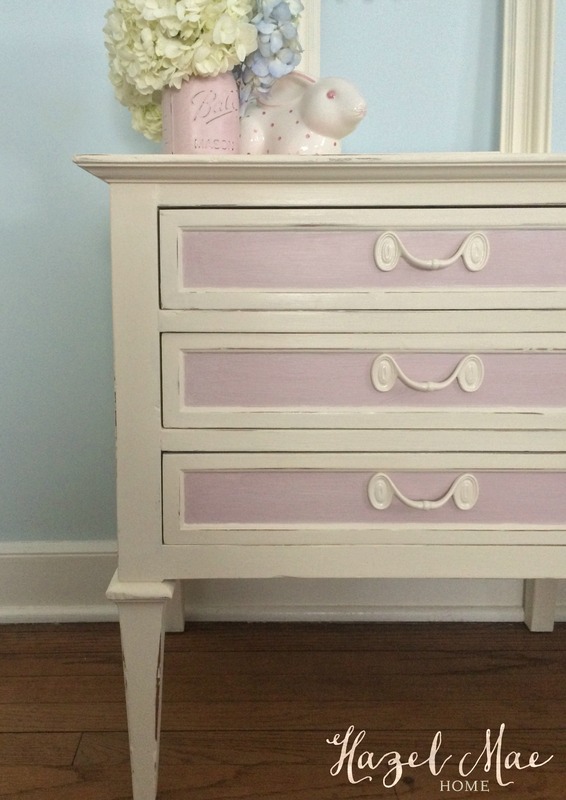 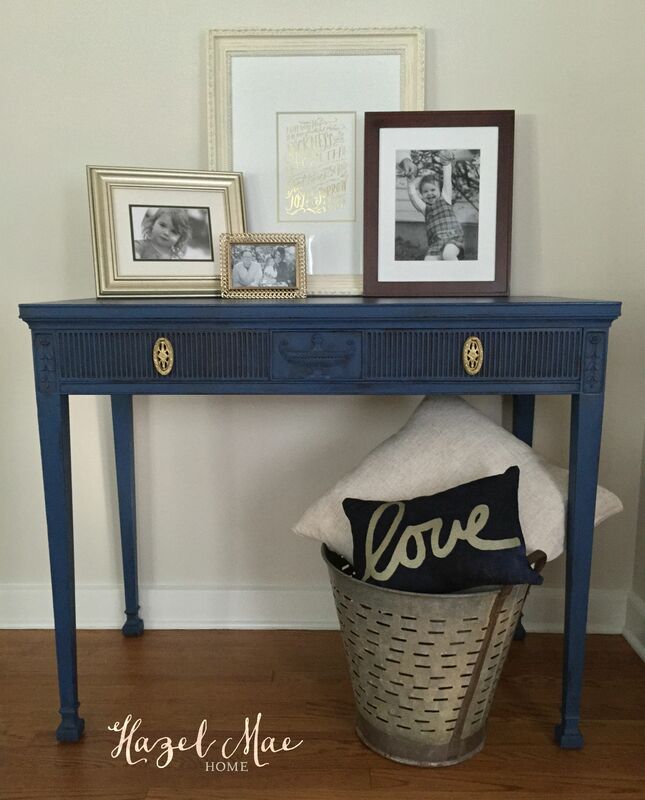 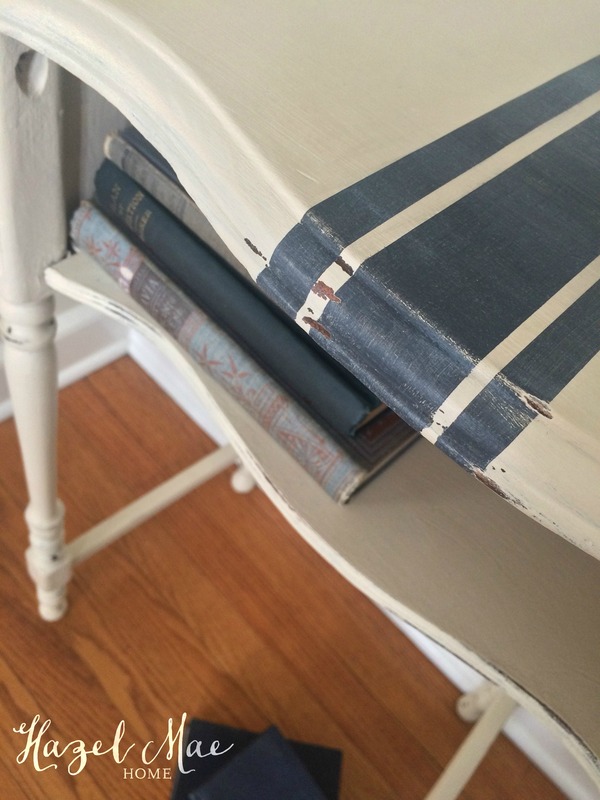 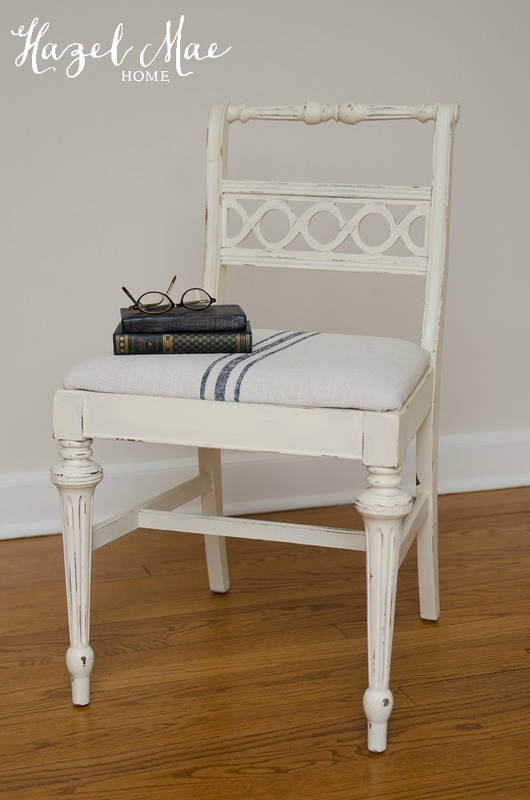 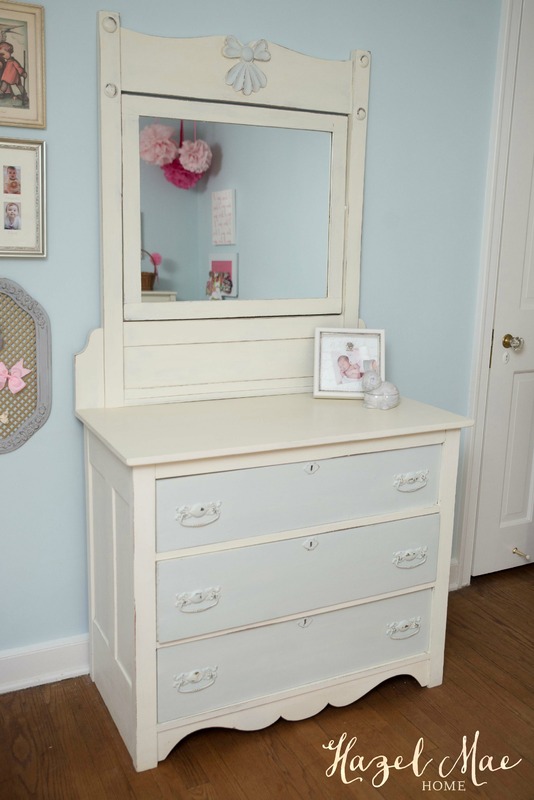 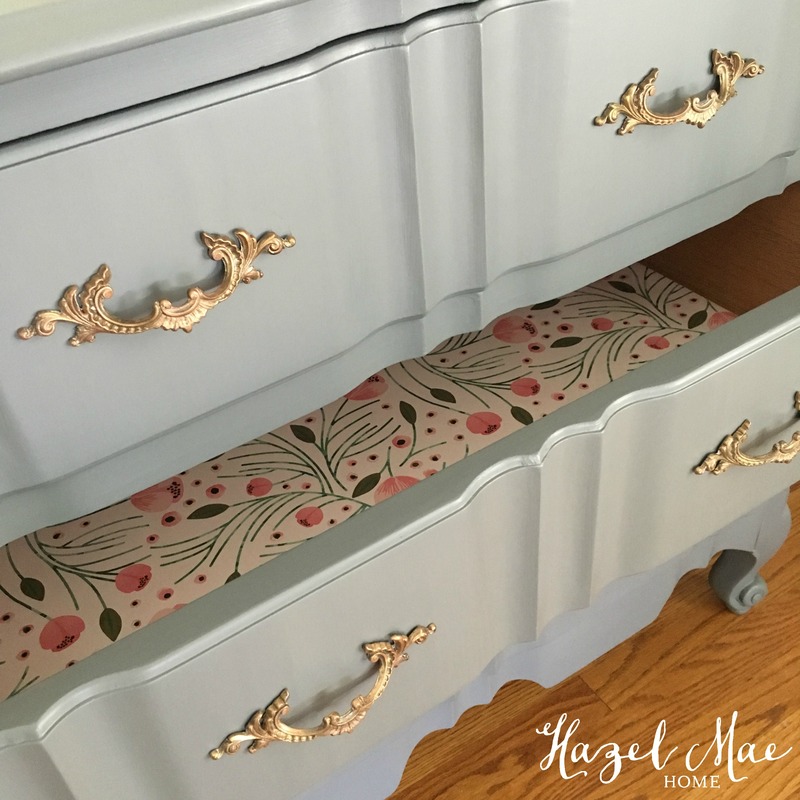 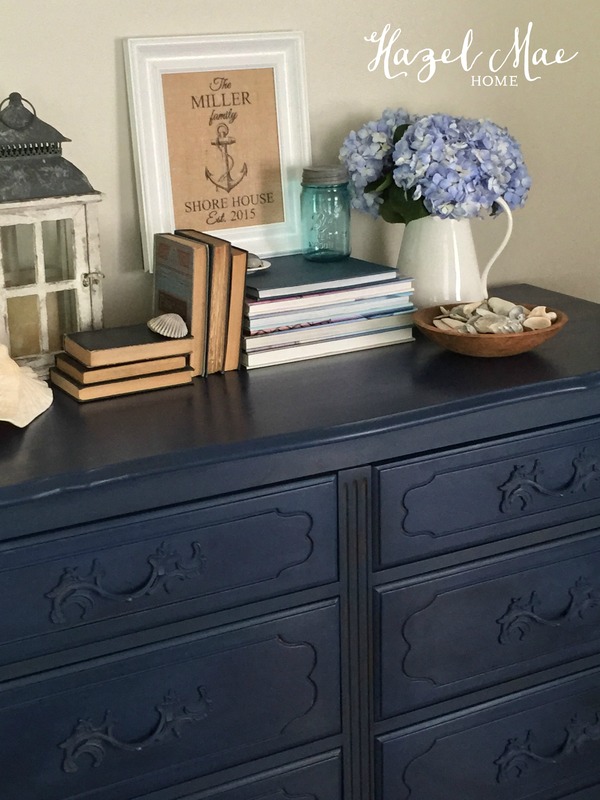 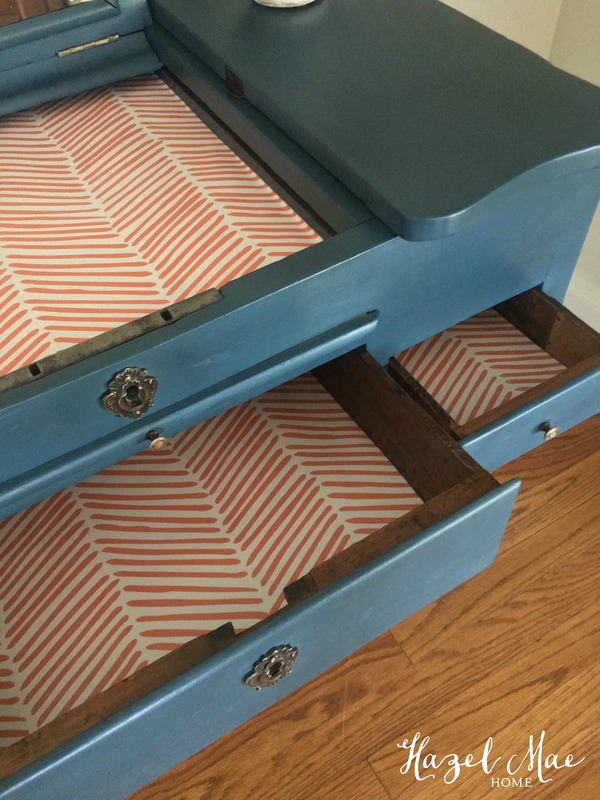 I gave it a simple, classic redesign with General Finishes Java Gel Stain on the top and Annie Sloan French Linen Chalk Paint. 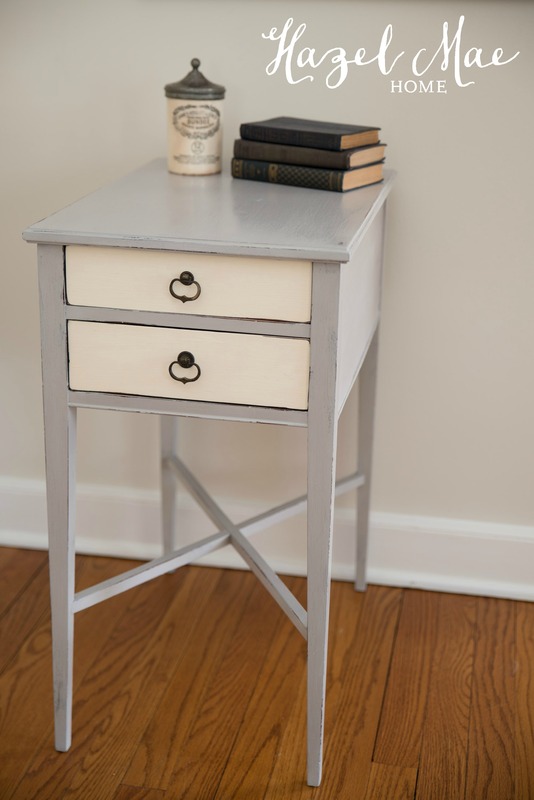 The top is sealed with three coats of General Finishes Satin Top Coat for a durable finish. 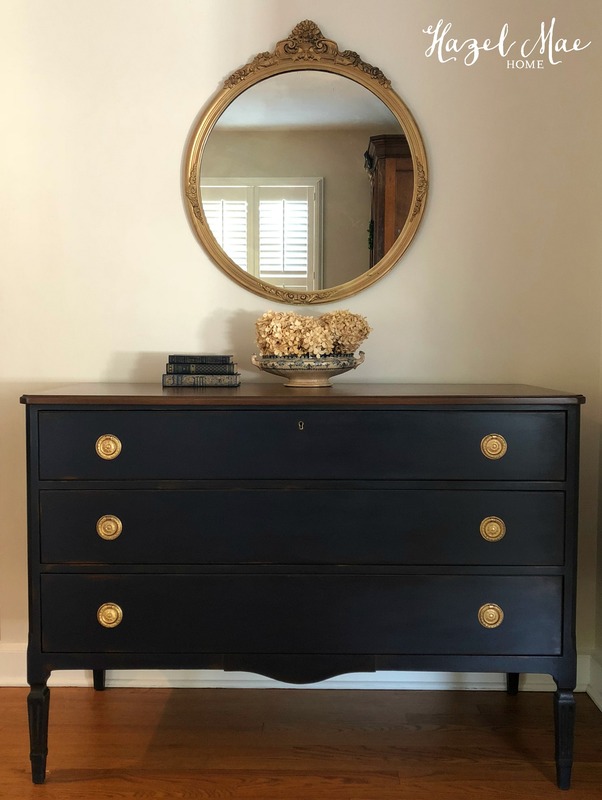 The original brass toe caps were cleaned and shined beautifully. 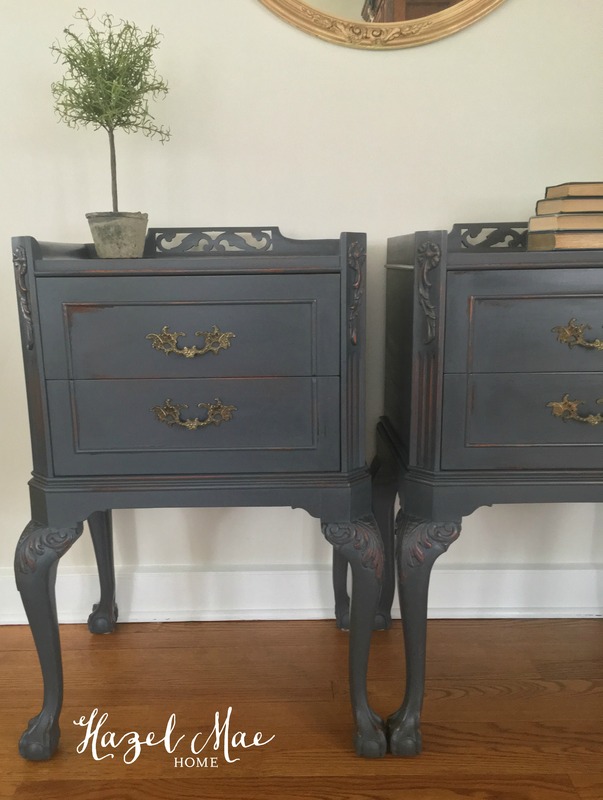 And I searched the internet to find an exact match to replace the missing one! 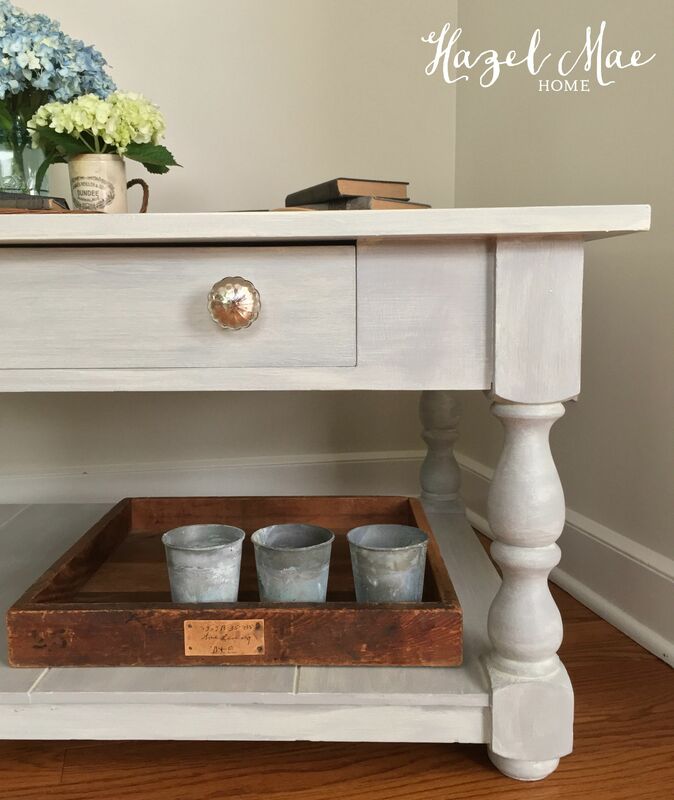 What I love about this table is that the top slides open to reveal a surprise compartment – once used to store game pieces. 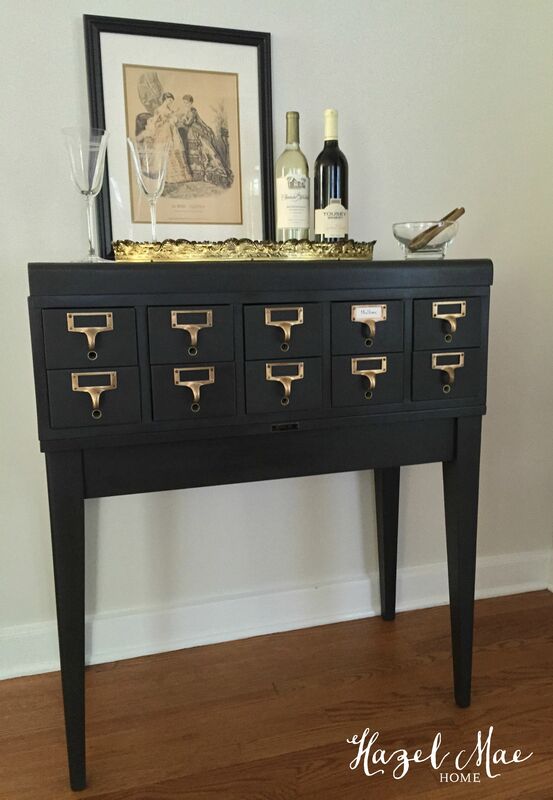 But, today I could see it as a great place to hide valuable items while on vacation or store lesser used items. 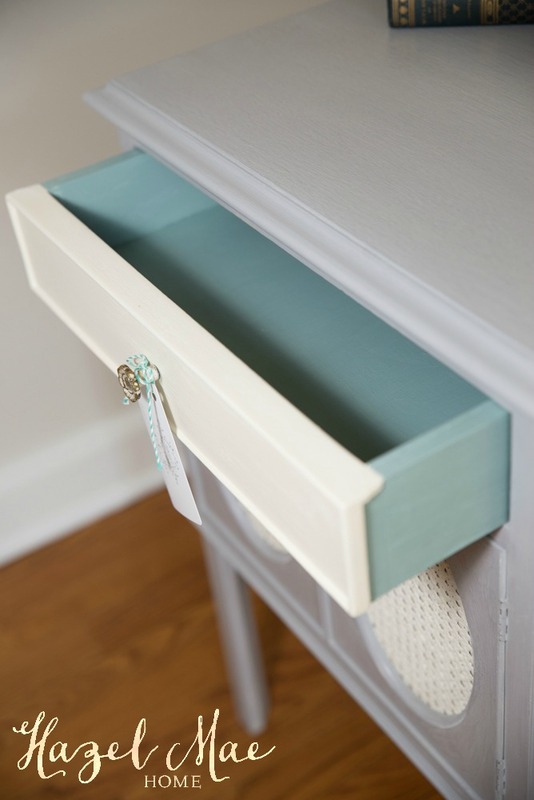 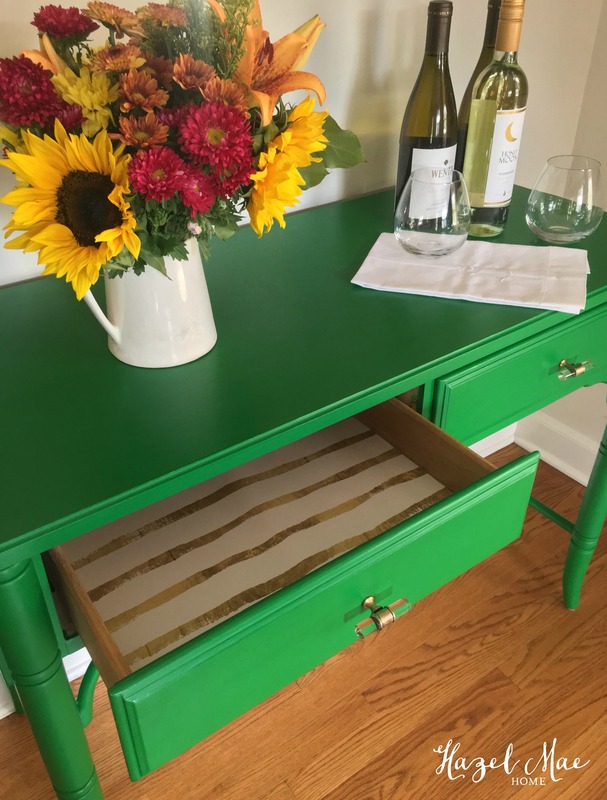 The drawer is lined with vibrantly colored paper for a fun surprise inside. 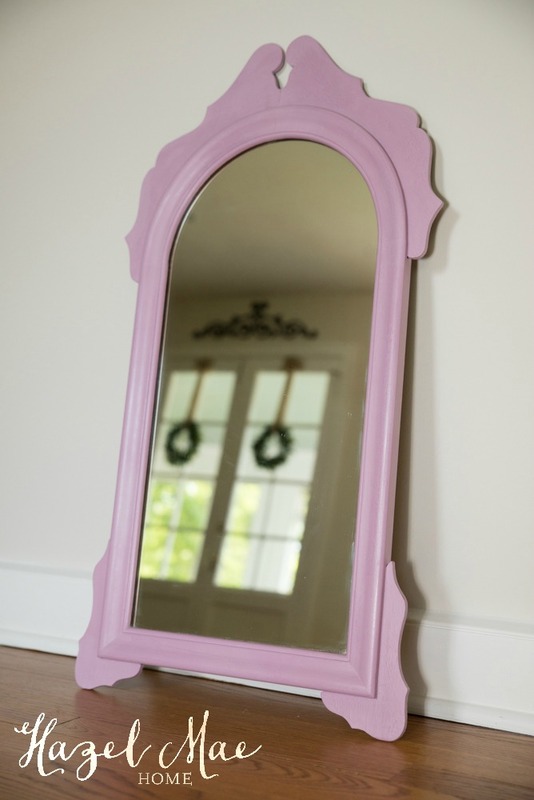 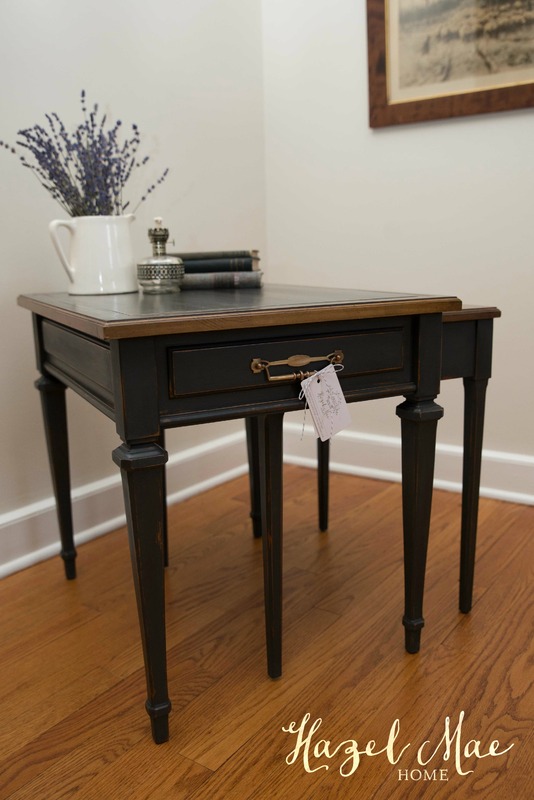 This would be a lovely piece to add to your front entry or a nook in your living room. 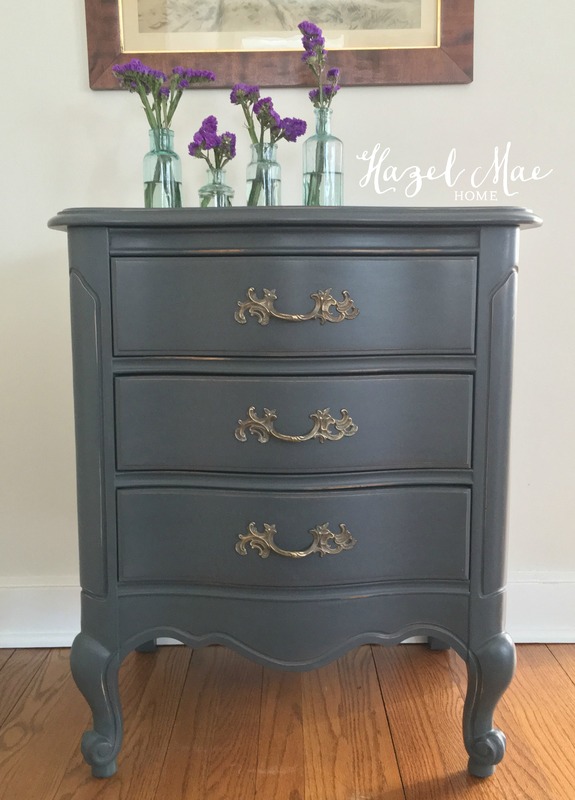 Email me at hazelmaehome at yahoo.com or message me to purchase. 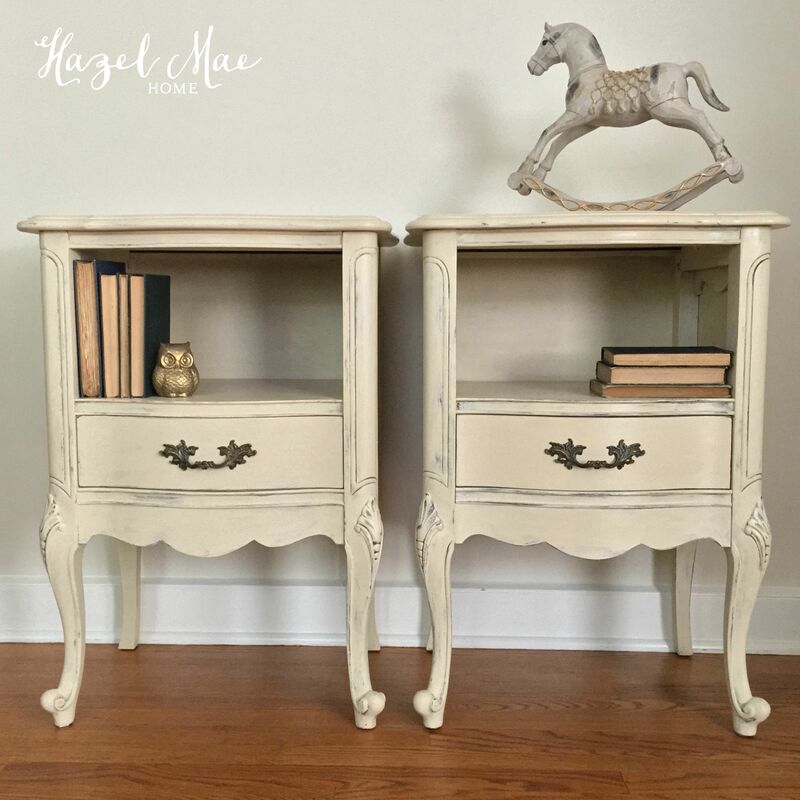 The sale of my redesigned pieces are on a first come, first served basis.